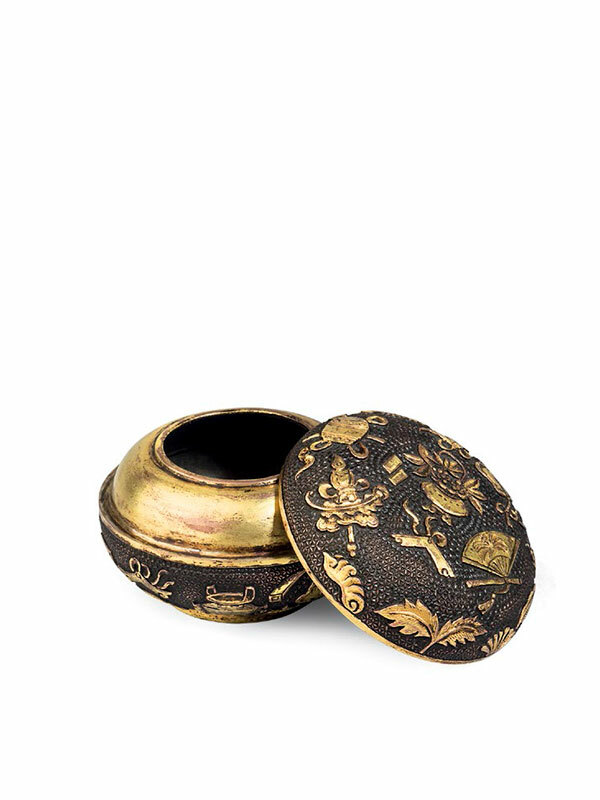 A gilded bronze circular box supported on a short, straight foot. 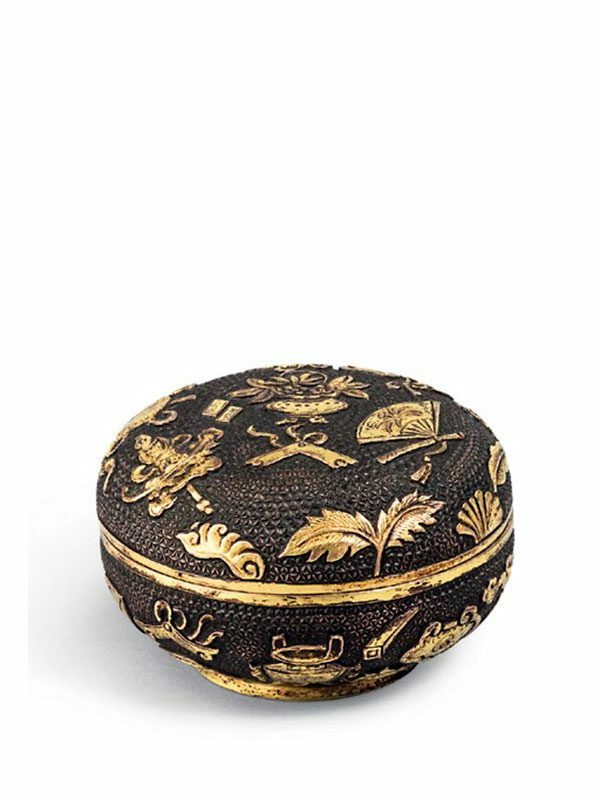 The slightly domed cover and sides are fully decorated in relief with various auspicious items and antiquities against a punched ground of interlacing diapers. The items depicted include a fan, a flower basket and a fish drum, the attributes of Han Zhongli, Lan Caihe, and Zhang Guolao respectively, who are among the Eight Daoist Immortals. There is also a conch and a parasol, two of the Buddhist auspicious symbols; some of the Eight Treasures: a wish-granting pearl, a stone chime, a pair of rhinoceros horns, a coin, an ingot, a wish-granting sceptre; and scholar’s items such as an archaic ding, scrolls and an inkstone. The box has a prominent incurving inner rim on the inside of the lower section, and this is also gilded on its exterior. The box is heavily cast and has acquired a beautiful, mellow patina.